For those who have lost their lives to suicide, I think if crystal balls existed, they never would have done it. If before they died, they could have seen the way their deaths would break the hearts of their family and friends, I really believe they would have changed their minds. I wish they could have known beforehand that their parents would never, as long as they live, get over their child's death. Their friends would be devastated. Their children would never heal over being fatherless or motherless. Their partner would always question, "What could I have done differently? Wasn't I enough?" 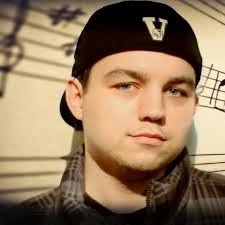 For anyone who is considering or has ever considered suicide, listen to this song "Suicide Note" by Windsor rapper Kyle Spratt (WARNING: Explicit lyrics). Make sure to listen all the way to the end. He is being credited for saving the lives of people who were contemplating suicide before listening to this song, the Windsor Star reports. Spratt's video has attracted more than one million viewers to date. Although it was recorded and posted to YouTube six years ago, it recently received a spike in online viewership. Hundreds of people have contacted him to thank him for his song. Spratt, 25, sings the song in the perspective of a teenager wanting to kill himself. But, after dying, he gets to see the reactions of his family and friends at his funeral. And then he immediately regrets it. "They miss me. Man, what a horrible mistake I made. And I can't take it back. It's way too late. If only I could relive my life, I'd remake this song." He is no stranger to the effects of suicide. The Windsor Star reports that his father killed himself when Pratt was just 9 years old. "I know what it’s like to be left behind by a loved one and … I know what it’s like to want to kill yourself,” he told The Windsor Star. Pratt knows what it's like to feel publicly humiliated. When he was 19 years old, he received national media attention — but not the good kind, like he is now. He stole rapper Eminem's ex-wife's cell phone, hoping it would give him the ability to contact him and get his music out there. And the public painted him as a stalker because of this incident. Thankfully he didn't decide to let this one mistake end his life. At the time, I'm sure it was hard to look past it, to see how anything could get better when people he didn't even know were making fun of him. But he did get past it. The world has forgotten about his past and now he is known for something else entirely. Because he didn't give up on life, he has helped so many others. He's taken the worst moments in his life and used it for good. We could all learn a lot from him. Stand proud Kyle you deserve the recognition.I love that song. I am 20 years old and was diagnosed with high functioning autism at age 7. Throughout the years it has worsened and now it has progressed to me hearing my own voice in my head, among other symptoms. One of the worst...suicidal thoughts. People, for years, whether its those I don't know, those I do know, or those in my own family even, have harassed me, abused me, used me, torn me apart socially, and relentlessly been a bully to me in more ways than I could put in a book. I've also been homeless for 1 year now save for the shelter of a hotel room. All throughout our crisis, nothing has gotten better and nothing has changed. One night, alone in my hotel room, there lay a knife and a notebook on my desk. I wrote a note saying "Sorry guys. It's too much. I'm in the bathroom. Love you." and left it outside the door of the room. I went to the bathroom, cut my arm once and took a handful of sleeping pills. Don't ask me how, but I survived. God only knows how. I woke up to find two resource officers and three paramedics at my bedside. A mess of wires shoots from my arm and lead to countless god-knows-what kind of machines, while a mask on my face is taken off just as I wake up. Then after all is said and done, I search "suicide notes" on YouTube. A lyrics video of your song, "Suicide Note" is the very first result. I click it and watch it from beginning to end. Tears flow from my eyes as I tell Jesus above "It's just so hard sometimes man! It's just so f___ing hard sometimes!" Had it not been for that video, I probably would have killed myself either way. THANK YOU SO MUCH for writing that song. Sir, I salute you.